This is the main discussion forum. 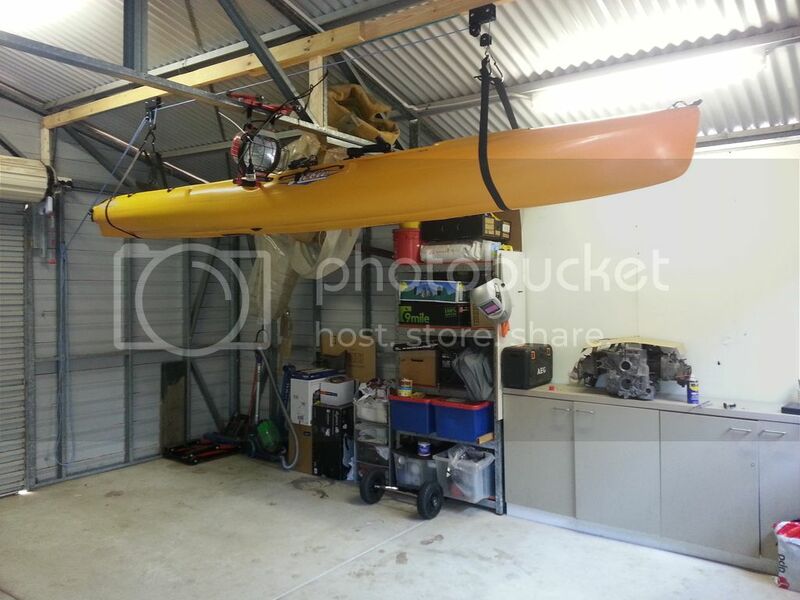 Does anyone use and recommend a kayak hoist for storing a pa14 on the ceiling of their garage? Quality marine grade hoist system, easy installation & minimal effort required to lift kayak. Just make sure the straps are wide enough so they won't distort the hull. Harken Hoister is the way to go, I had a Harken for my revo 16 and used the same one when I bought the the Pro Angler 14 but it was a bit on the light side so I got the one rated to 200lb with the extra pulley. Use to store all the gear for the PA 14 up in the garage ceiling with no problems at all.